You are here: Home > Latest Reviews & Features > Charity event at Neal’s Nurseries, Michael Morpurgo’s Mimi and the Mountain Dragon at Battersea Power Station and Winterville. Charity event at Neal’s Nurseries, Michael Morpurgo’s Mimi and the Mountain Dragon at Battersea Power Station and Winterville. What’s on? I’ll tell you what’s on. It’s Chriiiiiissssstmaaaaaasss and you probably don’t need Slade – or me for that matter – to remind you. But we hope you’ll find our calendar handy when you’re running from pillar to post like a headless chicken, just to have a quick check on the who, the what, the when, the where and the why. The how though I can’t help you with. 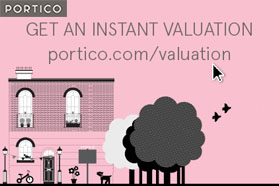 Just hear me cheering you on from the sidelines: You can do it! Keep on juggling…(read more). 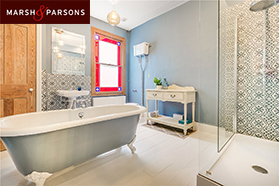 For sale with Marsh & Parsons is a 5-bedroom Victorian terraced house full of original period features and light and bright throughout, with an eat-in kitchen opening onto a private back garden and set close to a park as well as Clapham and Brixton (read more). 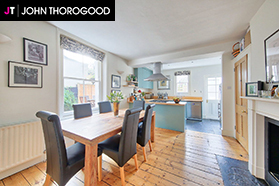 For sale with John Thorogood is a 2-bedroom garden apartment on a sought-after road running between Lavender Hill and Clapham Common North Side, with excellent living space, off-street parking and a sunny garden with side access (read more). 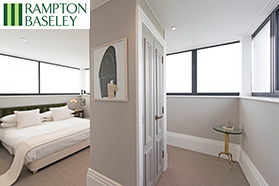 For rent with Rampton Baseley is a 1-bedroom penthouse apartment arranged over two floors and neutrally decorated throughout, with a light and airy open-plan kitchen reception room and far-reaching city views (read more). This very evening sees Neal’s Nurseries opening its doors for a Charity & Discount Event. Call in for food, drink, entertainment and shopping, all while raising money for charity (read more). And tonight’s the night for the magical Charity Candlelit Christmas Concert by the Southwest Songbirds in Earlsfield, with traditional carols and all the much-loved favourites (read more). Bach to Baby is in Telford Park on Saturday with their Festive Fanfare for all the family – you sit back and enjoy, coffee in hand, while the little ones are free to explore as they listen (read more). There’s a Christmas Wreath Making Workshop with Jane Cullinan at Earlsfield library this weekend with everything provided to make a beauty to grace your door (read more). It’s the NCT Christmas Party in Wimbledon on Saturday with free taster classes, soft play, festive crafts and a Christmas market with all proceeds going to Little Village. Feelgood in more ways than one (read more). London Steiner School in Balham is holding its Magical Advent Fair this weekend with live music, festive treats galore and a Gnome Grotto. Dancing gnomes..? Say no more! (read more). And they’ve got Christmas treats galore lined up including Michael Morpurgo’s Mimi and the Mountain Dragon, the sweet tale of a baby dragon found curled up in the woodshed on a snowy Swiss mountaintop (read more). Home-Start Wandsworth Carol Service will be back St Anne’s Church later this month with mulled wine, festive music and celebrity readings including from Bryony Gordon and Richard Stilgoe (read more). ‘Tis the weekend for the Christmas Tree Festival at St Mary Magdalene, with music, mince pies and the man himself (read more). and there’s also an 11+ Booster Course being run after-school in mid-December designed for children sitting the exams for similar schools in January (read more). And Yellowbird Education has a series of mocks in Parsons Green on Sunday, for the 7+, 8+ and 11+ (read more). Archer Street Clapham invites you to a Frozen Singalong this Sunday afternoon. Do you want to build a snowman with Elsa? This is the first time in forever, so let them go, let them go…(read more). We’re onto Day 6 of our NappyValleyNet 12 Days of Christmas, so if you haven’t spotted it yet, take a look! We have a fabulous prize up for grabs every day until 12th December – well 13th actually as we couldn’t resist one for luck. Today you could win his and hers hair by Anthony Laban and tomorrow we have a family ticket to Room on the Broom Live on Stage up for grabs. Just saying…. (read more).